Draper, Inc.’s Video Conferencing Backgrounds offer a wide range of possibilities with a single purpose: to make your video conferencing more effective, focused, and attractive. First-time customers can receive an impressive savings of up to 40% off your first Video Conferencing background. Simply visit the link below to take advantage of the savings. The key to effective video conferencing is to ensure that the intended message is delivered while eliminating or minimizing anything that distracts from that message. Your visual message is quickly diluted or demoted when visual clutter and distraction get in the way. Remember that the camera not only shows you, but also what is around you. The easiest way to focus your video conferencing and deliver a strong, clear message is to remove background distractions. Draper’s Video Conferencing Backgrounds are an elegant and effective method to provide a distraction-free and immersive telepresence. 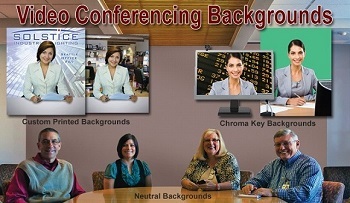 Backgrounds should be incorporated into the standard work for any video conferencing application. The best practice for corporations is to specify a standard background for the entire company and utilize a consistent solution for all employees, regardless of their geographic location. This ensures a consistent company image to all of your customers. 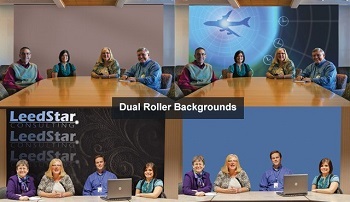 Draper offers several models of motorized, manually operated or spring roller operated video conferencing backgrounds. Choose from ceiling-recessed, wall-mounted or even portable backgrounds. For a permanently installed video conferencing background in a dedicated location, choose a background that is permanently tensioned on a frame and wall-mounted. Industry standard recommendations for most effective video conferencing are to utilize a neutral colored background. 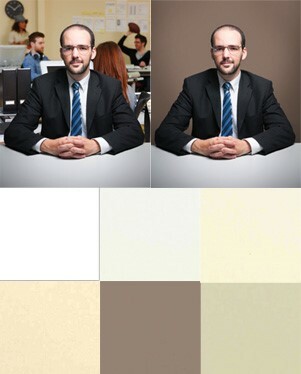 Draper offers six muted earth tones that align with these recommendations and provide an elegant and clean image for video conferencing. 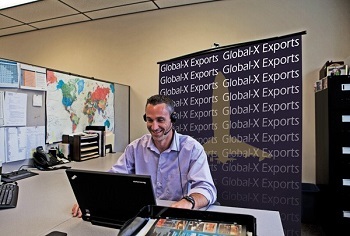 Incorporate your brand into your visual message by utilizing Draper’s custom printed video conferencing backgrounds. 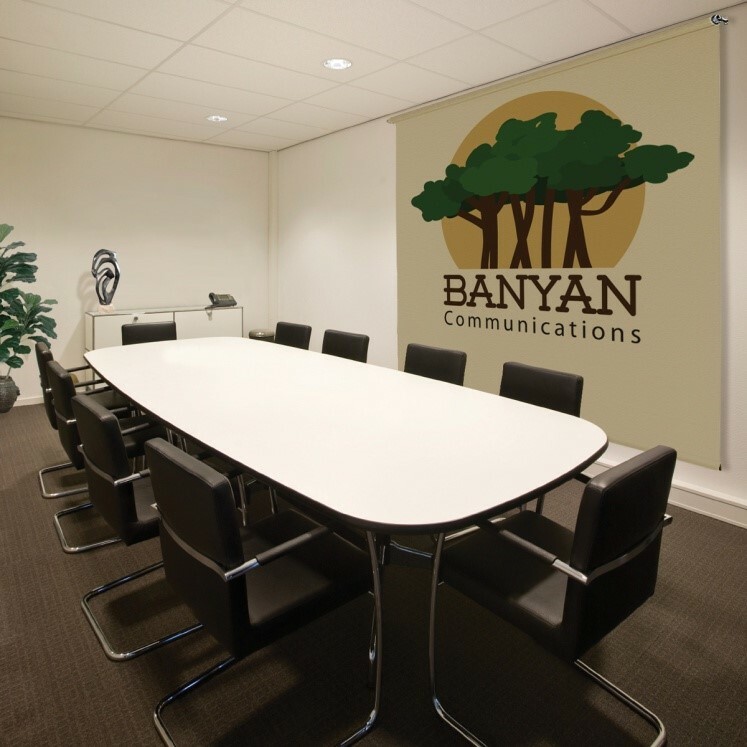 Draper can print virtually any custom graphic provided by the customer onto a video conferencing background with state-of-the-art digital printing presses. The possibilities are endless with a custom printed background. 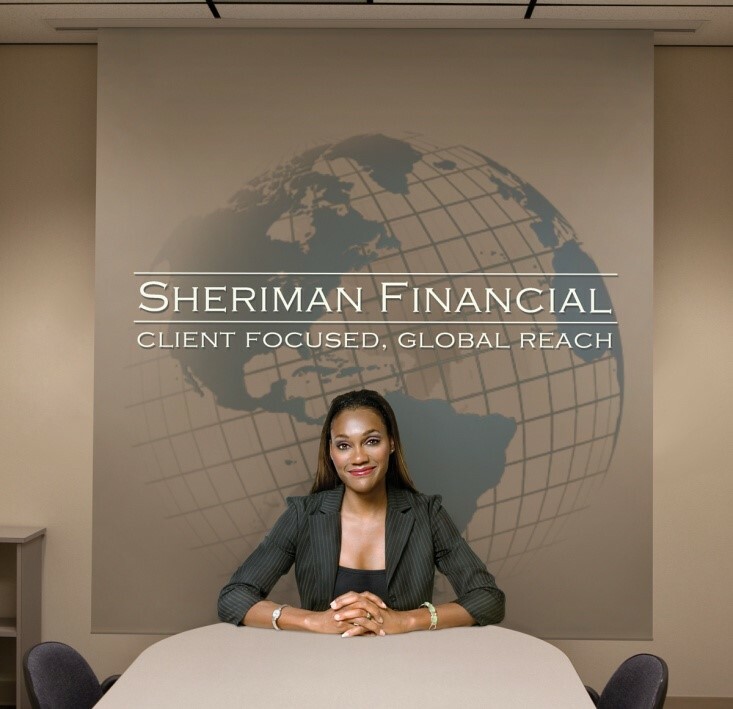 Chroma Key backgrounds allow you to replace a physical green or blue screen with a digital visual background of your choice during video conferencing. Do you want to change your video conferencing background regularly, or utilize motion graphics? Chroma Key backgrounds are the answer. For the ultimate in flexibility, utilize a motorized Dual Roller background to allow for two different backgrounds, each available at the touch of a wall switch. Choose any two surfaces from Draper's available backgrounds, including neutral, printed or Chroma Key materials. Keep your message clear and distraction-free. Utilize Draper Video Conferencing Backgrounds for all of your telepresence needs.